Do you go crazy in ETS2? Do you peace of mind on the road? Interfere with those cars and trucks? This mod is for you !! 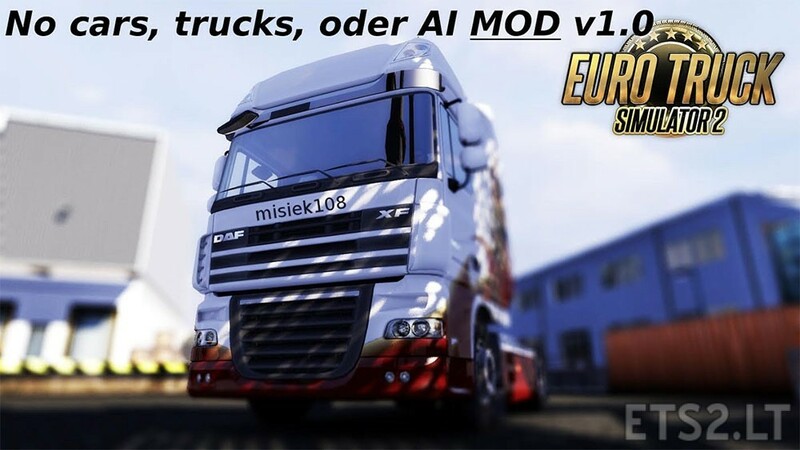 Mod removes completely the movement of AI. -Good alternative to increase FPS. Allow for elevation of the outside ETS2.lt but please retain the original link and author !! !